A quick reminder regarding uniforms (do boks). We have noticed a lot of dirty and stained uniforms lately. Please be sure to make sure uniforms are neat and free of stains. New uniforms are always available at the do jang for purchase. Uniforms are only to be worn to and from class. ITF etiquette calls for only the pants to be worn to and from class and the top and belt put on upon entering the school. As a reminder, we have a changing room that students may use as needed. ALL STUDENTS need to get their patches on their uniforms ASAP. Remember they are not iron on. With the exception of White Belts, every student should have an ITF patch as well as the Flag patch on their uniform at all times. If you need to purchase patches, please see Mrs. Lauren. STUDENTS WITHOUT PATCHES WILL NOT BE ALLOWED TO PRE TEST OR TEST! UNIFORMS SHOULD BE CLEAN, NEAT, AND FREE OF STAINS AT ALL TIMES!! White Belt Students will not have any patches on their uniforms. Yellow & Orange Belt Students are required to have the red ITF patch on the front left of their uniform and the Flag patch on the right sleeve at all times. Please make an effort to get these patches sewn on ASAP. Green & Red Belt Students are required to have the ITF patch & Flag patches on their uniforms at times. Green & Red Belt Students are also required to have lapel trim on their uniforms. Ribbon is available at the do jang upon request. If anyone needs to purchase patches, they are available in the office for $10 per patch. 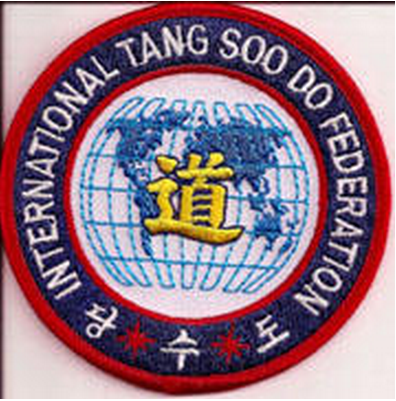 These uniform requirements are set by the International Tang Soo Do Federation.